Purair® Laminar Flow Hoods are a series of high efficiency products designed to protect equipment and other contents of the work zone from particulates, for applications sensitive to such contamination. It is ideally suited for use with non-hazardous contaminants and when flexible access to the equipment in the work zone is desired. At the heart of the Purair Laminar Flow Hood product line is the Air Science Multiplex™ ULPA Filtration Technology that creates a clean work environment over a wide range of applications. Purair Laminar Flow Hoods are available in 2 model types with various sizes and options for a total of 11 standard models. Purair Laminar Flow Hoods are shipped fully assembled. No installation is required; just plug them in and use them. Horizontal flow cabinets are designed with a lip on the rear of the work surface to protect the ULPA filter from spills. The Air Science filters are easy to access, easy to change. Accessories include an IV bar, service fixtures, base stand, UV lamp, and front door/cover. 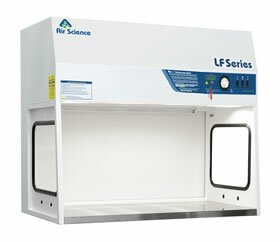 When used according to best practices, the LF Series cabinet encourages compliance with criteria set forth by USP 797 for sterile preparation in pharmaceutical compounding of nonhazardous agents. These include injectables, IV admixtures, pastes and ointments and irrigating solutions which are protected by filtered air over the work surface in a laminar flow. Which is Better - Horizontal or Vertical Laminar Flow Clean Benches? 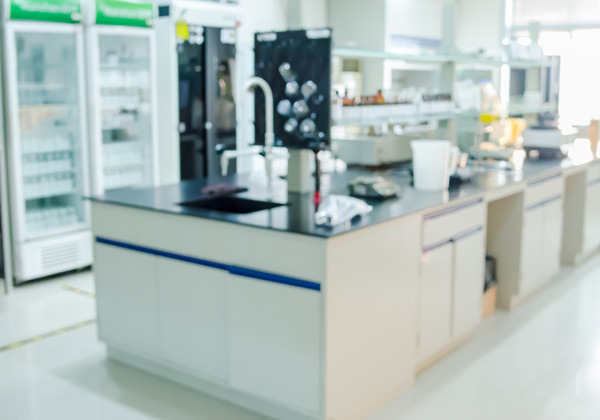 How do you choose between horizontal laminar flow and vertical laminar flow clean benches? Horizontal and vertical laminar flow hoods provide unidirectional airflow but offer different benefits depending on how you use them.